I'd like to draw your attention to our last woman for Humans in Coffee series. 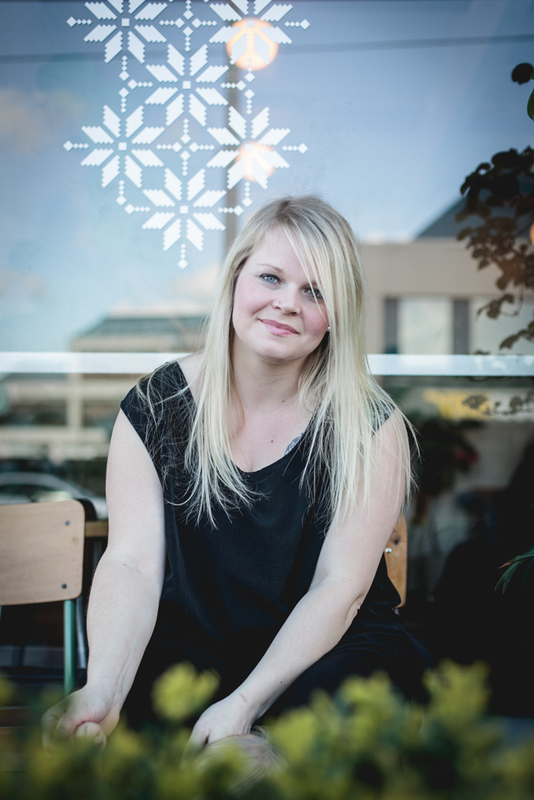 Kristina is the co-owner of Old Hand Coffee, and she wraps up the celebration of women rocking out the coffee world in BC. The introduction was all prepared for her Q&A, but I am reading through the answers and am more and more moved by the amount of resiliency and persistence that she and several women around me exude. Take it from the words of her staff "She's the best!" Being a new parent is a tall task, and I am certain that this will help you appreciate new parents who own businesses! Women in coffee are not being romanticised, it is just sharing one's point of view. This short series is only a snapshot of several women in our day-to-day who are demonstrating leadership, independence, boldness, and flexibility. 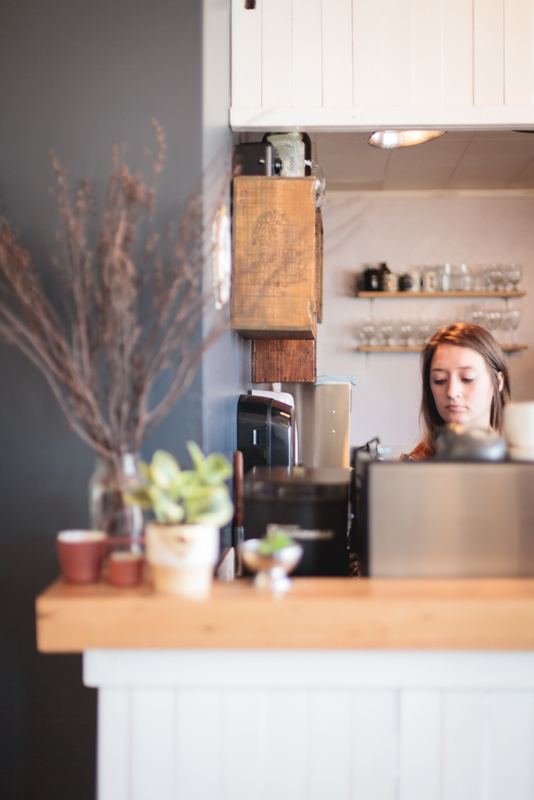 Recently there have been several posts that address gender inequality in coffee. We have discussed coffee competitions and some underrepresented facets of the supply chain such as women farmers and their lack of rights to land and resources in some countries. Some literature suggests that, perhaps a better question to ask is 'What are the best platforms for women to shine and feel comfortable executing their strengths'; are they at coffee competitions and discussion panels or could it be that women prefer to communicate in different ways, and so don't choose to participate? The responsibility is ours to change the industries we are in (both in and out of coffee), and foster situations that allow for women in leadership roles. On the contrary, when one considers parenting roles and messaging for parents it often appeals to women specifically; how does a father feel taking their child to a mom & tot swim? Equality means equality in all realms, empower each other. I leave you with that, without further a do - the last Q&A for Women's day. 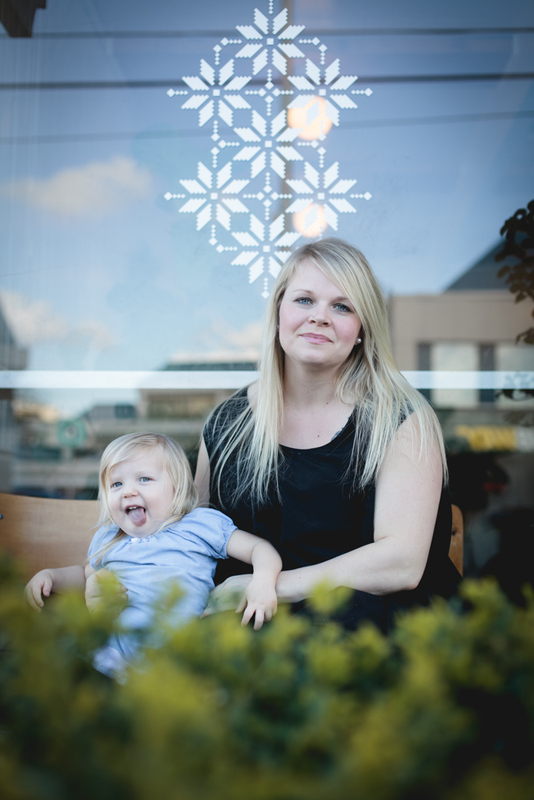 You’re our first mom in the Women in Coffee series, exciting times! Tell us one thing no one told you about becoming a mom. I didn't know how 'full-time' being a mom would be. Especially in the early days, I was literally living and breathing my new baby. When I showered, I heard her crying; and when I went to sleep at night, I echoed her breathing. Every movement, moment, and need she had was all I could think about. How long have you been working in coffee? Did you ever think you’d stay-on and start your own cafe? I made my first coffee using a beautiful shiny Synesso back in 2008 when I started working at a little bakery in Victoria called Bubby Rose's Bakery. I was trained by the folks at Discovery Coffee but I never really 'got it' until I started working at Elysian Coffee in Vancouver in 2010. I got really excited about coffee through the process of cupping at Elysian where I eventually got the opportunity to lead new staff and other baristas from around Vancouver in weekly cupping sessions. Having a Kenyan and an Ethiopian on the table beside each other made me truly understand how complex and exciting coffee really is. I don't think I'll soon forget those days of closing my eyes and really thinking about what I was tasting. Being totally submerged now as owners, we don't often have those moments anymore, but I'm hoping for the day when they'll come again. It was a distant dream for a few years that one day we'd own our own cafe, but seeing that become real took a lot of intense effort, late night planning sessions, and phone calls to mentors about what to look for in a lease, how much it's really going to cost, and how to make a million little decisions. I'd say our years as managers really set us up for success, and then just jumping in was the next step. We've had tremendous support the whole way through, from our families to former bosses, old co-workers, friends in the industry, and now the whole town of Abbotsford. It's really been an amazing first year. 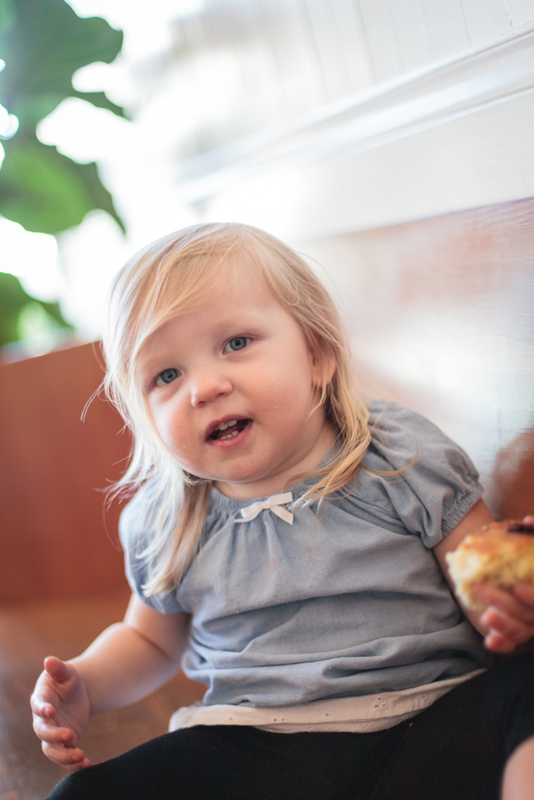 It’s tough to balance both home & cafe life as a parent. I think many men and women will identify with this, what are a few hints for those who share in the joys of the balancing act? 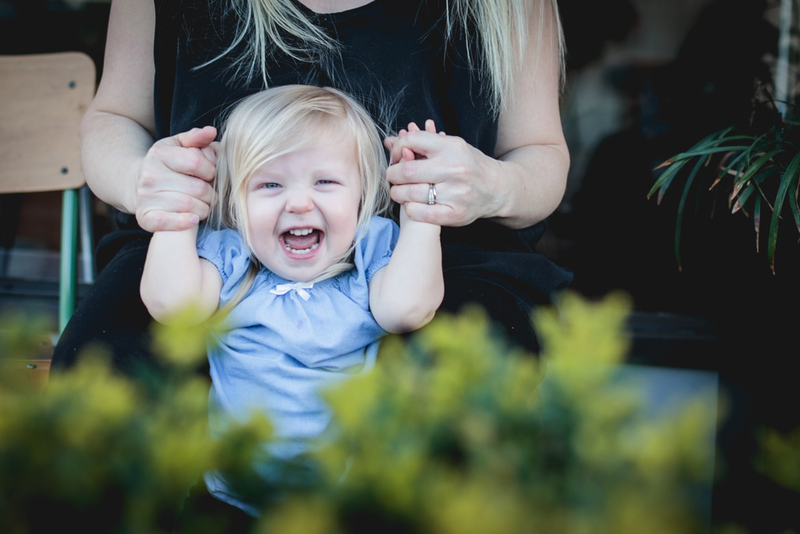 The balancing act of being a parent and business owner is hard, but having an amazing husband/friend/business partner/co-parent is truly the thing that makes it work - and of course having grandparents close by! Johannes and I share the load almost completely. There are days where one works more than the other, but for the most part, we share parenting and business ownership almost 50/50, which is such a gift. I thought I wanted to be a stay at home mom until I became one (for a few short months of Else being a newborn) and by the time Oldhand was in process, I realized that although it was hard to do both, having both work and parenting made me more balanced of a person. I love my baby and I love my work. And I love that Johannes gets to share in Else's life as much as I do. I think it makes us both better parents and better people. We don't often feel overwhelmed with the task of parenting because we share it. And we both get a break from both worlds by entering the other. Neither one of us gets up at 5am, 6 days a week. 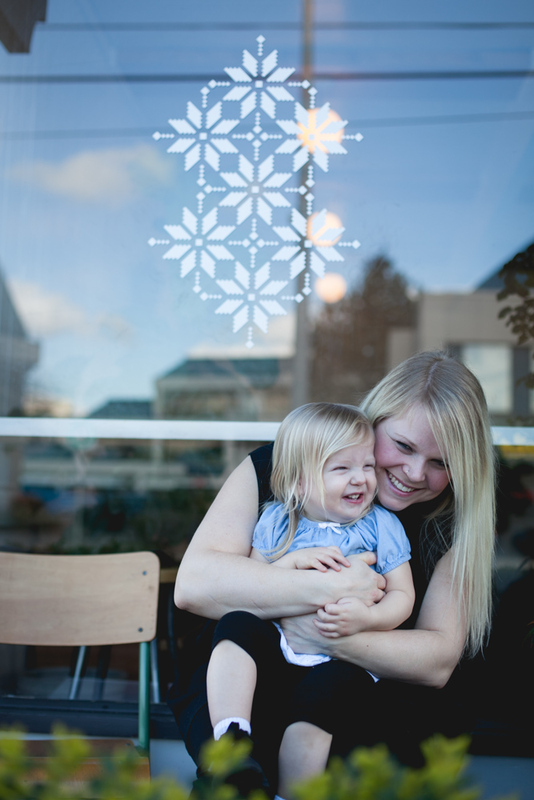 We each do a few days of each, early mornings at the cafe and slightly less early mornings with our now toddler. With another baby on the way (due in July) all that is about the change, but I think we'll continue our goal of balancing babies and business like we have this past year and hopefully that works! If not we've got a great ongoing dialogue about how it's all going and we'll make adjustments as they need to be made. For us, it's working right now. I just hope it continues to work this well with two babies and the cafe getting steadily busier. Abbotsford is a bit removed from the city, for those who aren’t from Vancouver can you tell us what you expect from the community and how you built the following that you have? Abbotsford is a funny city. We both grew up here and know this place well, but it's still hard to totally figure out. It's a very religious city, a million churches, the third most ethnically diverse city in Canada, and lots of young artsy kids being inspired to stick around instead of giving up on Abbotsford as we did when we were first married (almost 9 years ago). Abbotsford has a lot of Wal-Mart-shopping, Tim-Horton's-drinking-people that would never think to step foot in Oldhand. And thats ok! We get that for a lot of people, $3 is a lot to spend on a cup of coffee, and we get that not everyone cares about single origin, brewed by the cup, coffee. However, there seems to be a growing number of people that don't want to drive to Vancouver to get a good coffee, who want to raise their families in Abbotsford, and who want to experience a piece of culture that we've been so excited to create and share. It's been amazing to see so many people getting excited about specialty coffee in a city where we weren't sure our cafe would 'work'. But it's working! We built our following based almost solely on social media, which seems to be the most incredible marketing tool of our time. As an aside, I love, love, loved the pastry case at your cafe; what are some of the inspirations to your menu items? Comfort food is our goal. We wanted things that were unpretentious, accessible, but also interesting. We have classics like 'mom's chocolate chip cookies' but also things that reflect our heritage like skolebrod and pulla, scandinavian treats with cardamom flavour. Johannes has been working on making croissants for about two years now, self taught I might add. I'm so proud of him. When we first started dating all he did was boil noodles and add canned tomato sauce, now he makes sourdough bread, croissants and handmade pasta. We definitely share the baking tasks but he does most of the projects that require research and patience. We have staples that we always have on offer but we like to add seasonal menu items as well, like when our farmer friends have organic rhubarb by the truck full, we can't say no! Now that we're open late on the weekends and licenced, we have some newer food options to pair with our beer/wine/cocktail menu; salad, a Ploughman's board and pizzas for instance. We love that people look at us just as much a bakery as a cafe, we've worked hard to make our food and coffee pair well together.